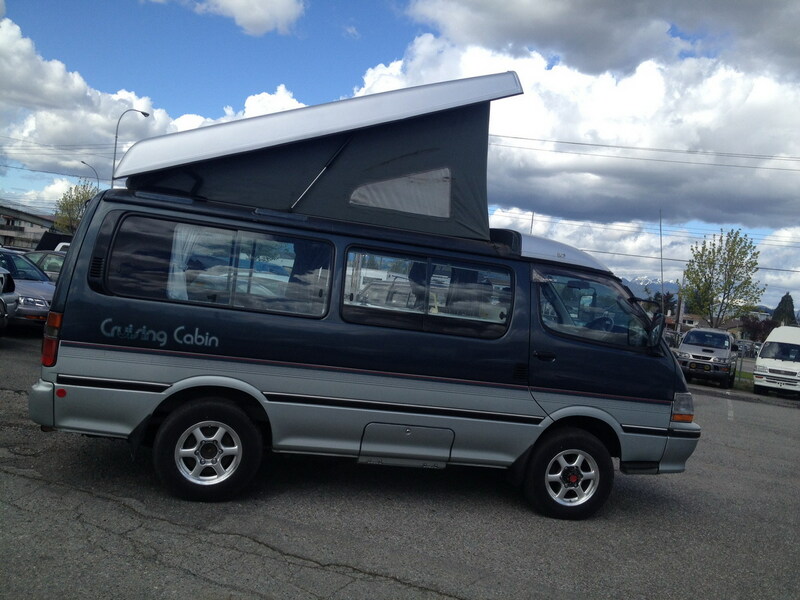 1994 Toyota Hiace Camper Van. 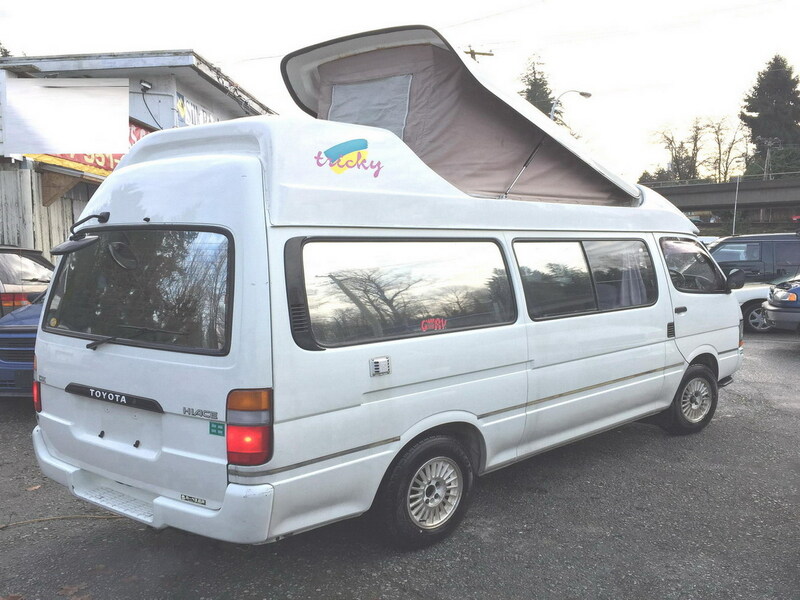 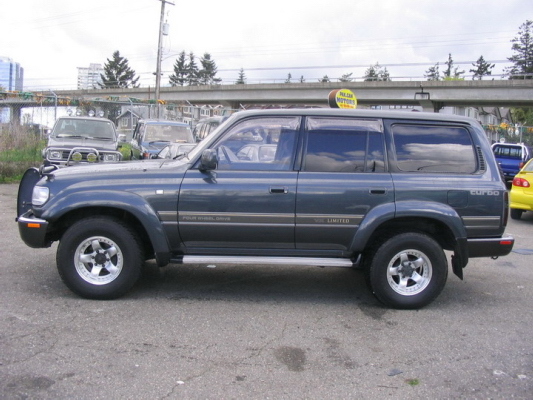 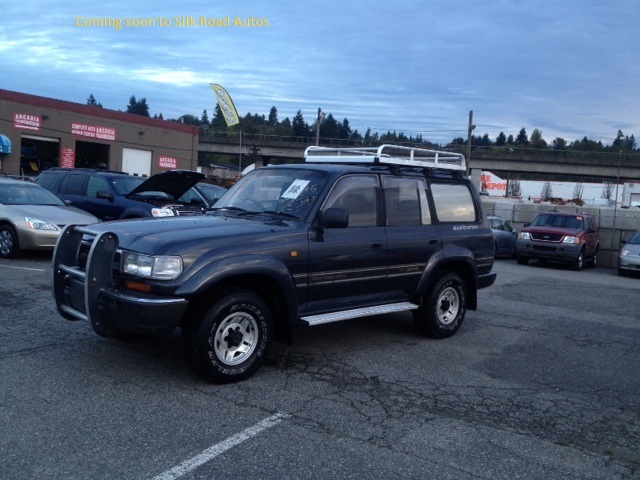 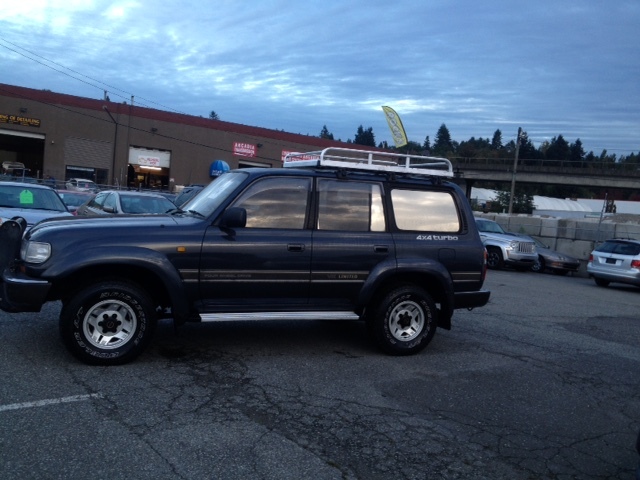 comes with the famous Toyota 3L engine 2.8L 4 cyl non-turbo Diesel, 112000 km only, pop-up roof with bunk bed and other camping gears, awning, alloy wheels and nearly new tires. 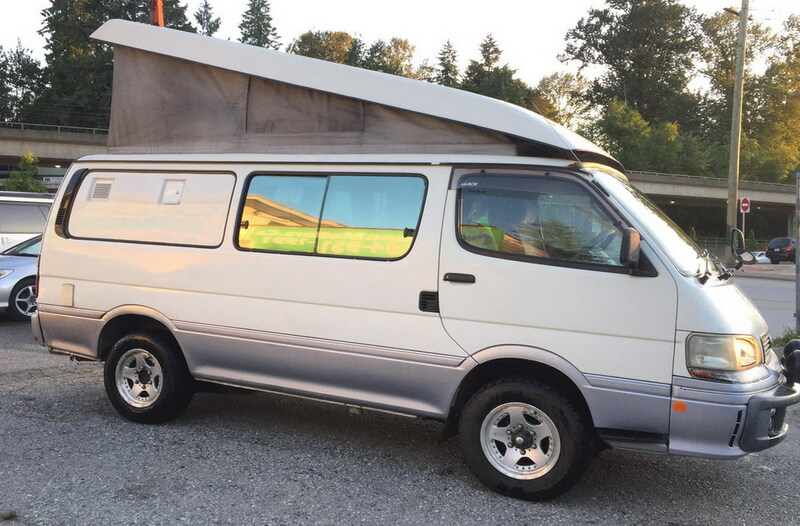 Delica dealer Canada- Your best source for Mitsubishi Delica Vans, Toyota Hiace Vans, Landcruisers, Nissan Skyline, Delica Camper and Toyota Hiace camper vans and various other JDM automobiles.